Shown is the Pennsylvania Capitol building along with roses in Harrisburg, Pa., Tuesday, May 23, 2017. 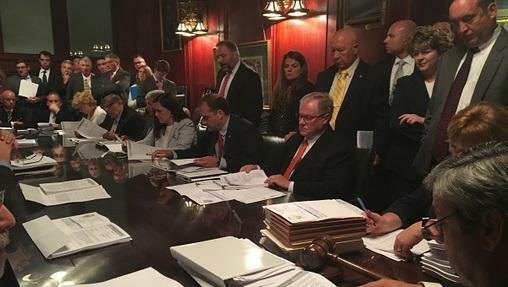 Most rookie teachers and newly minted Pennsylvania government employees would see a smaller retirement benefit in the coming decades through the state's two big debt-plagued pension systems, under legislation that passed the Senate on Monday and has the backing of Democratic Gov. Tom Wolf. 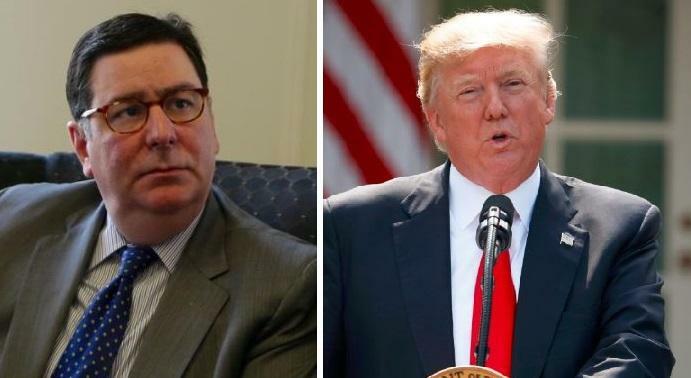 The Republican-controlled Senate's 40-9 vote could be followed by swift House action this week to send the just-unveiled bill to Wolf's desk. The bill is the product of months of closed-door negotiations and more than four years of Senate Republicans pushing to end or reduce the traditional pension benefit for future state government and public school employees in favor of a 401(k)-style benefit. If it becomes law, it would be the second pension benefits reduction of future employees in eight years, both spurred by a debt tied to the pension benefits of current and retired public employees. The bill, unveiled Sunday, would create a less expensive and less generous pension benefits structure in the future, while also shifting some risk of investment losses off taxpayers and onto the public employees of tomorrow. But actuaries note that creating the new benefits plans still leaves Pennsylvania's massive pension debt intact, and will not stop the rising pension obligation payments that are squeezing the budgets of school districts. In his floor comments, Senate President Pro Tempore Joe Scarnati, R-Jefferson, called the legislation "historic reform" that "will help ensure the stability of the commonwealth for decades to come." Senate Majority Leader Jake Corman, R-Centre, said if lawmakers had adopted the same changes in 2001 — the year they approved a huge benefits increase — the state "wouldn't be in this situation that we're in today and dealing with skyrocketing increases of our contribution." Wolf's office said he supports the bill and its goals of paying down the pension debt on the current schedule, reducing pension fund investment fees and shifting investment risk away from taxpayers. Under the bill, most new employees hired after 2019 would see a smaller traditional pension benefit combined with a new a 401(k)-style benefit, and a larger employee contribution, according to an analysis of the plan by the Legislature's nonpartisan fiscal agency. They also could choose a plan based entirely on a 401(k)-style benefit. About one-third of future state government employees, including Pennsylvania state troopers and state corrections officers, are exempt from the plan changes. An employee who retires with 15 years of service and a final average salary of $60,000 would see an annual benefit of about $12,000 from the new blended plan, compared to $17,000 for someone hired under the current law, according to the analysis. Most public employees hired before 2011 have a more generous pension benefit. 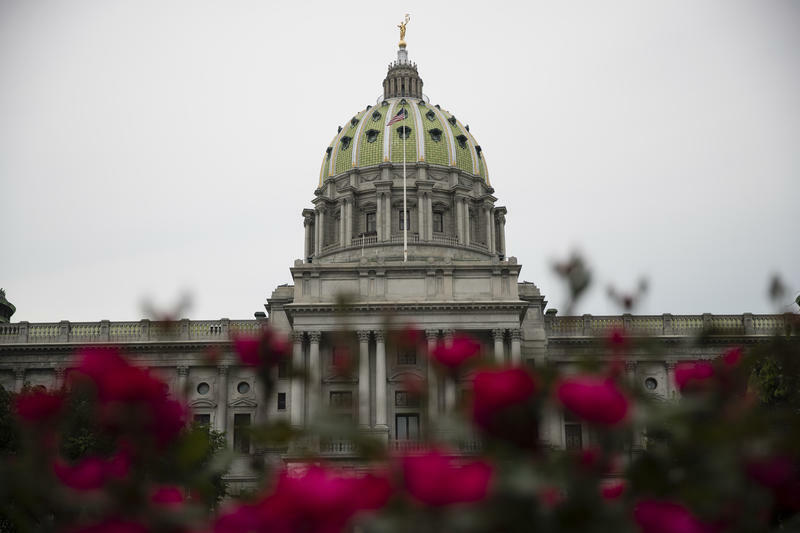 The roughly $60 billion projected debt in Pennsylvania's two big public pension systems is attributed to the benefits of current and retired employees and will take more than two decades to pay down, according to estimates by the pension systems. State senators gathered in the Capitol on Sunday evening to move a bill that's been dogging the legislature for the last four years, in various forms.